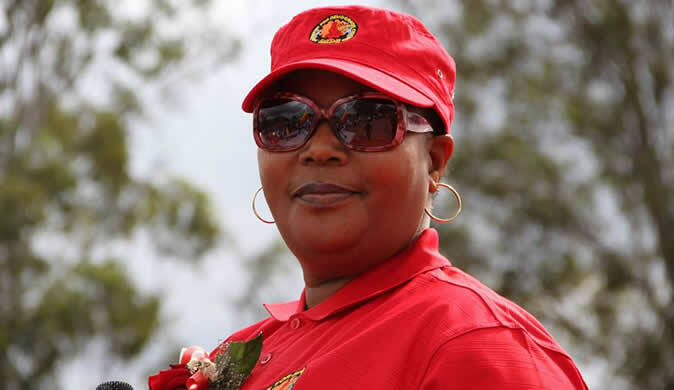 THE MDC Youth Assembly this week said it regrets the departure of the party's former deputy president Thokozani Khupe and others early last year. Following the death of the party's founding father Morgan Tsvangirai in February last year, there were serious ructions in the MDC over his succession. While each of Tsvangirai's three deputies - Khupe, Nelson Chamisa and Elias Mudzuri - claimed to be the rightful heir to the throne, in the end it was Chamisa who emerged triumphant. Khupe found that unexpected outcome too difficult to accept, leading to her breaking away to form another political outfit - the MDC-T.
She left the party along with organising secretary Abednico Bhebhe and national chairperson Lovemore Moyo and several other officials. With the main MDC heading towards a potentially divisive elective congress on May 24, with all top positions up for grabs, the party's youth secretary, Lovemore Chinoputsa is rallying youths to ensure the movement does not split again. In a wide-ranging interview with the Daily News, he regretted that when Khupe left the MDC, the youth assembly did not do enough to keep the party intact. "Our biggest regret was to allow comrades we had walked along with in the struggle to ditch the movement at a critical juncture as we were going for elections last year," Chinoputsa said. After the 2014 congress, the MDC youths had resolved to work towards ensuring that the party would not be torn apart again. This followed the 2005 and 2014 splits engineered by former secretary-generals Welshman Ncube and Tendai Biti, respectively. "It was our conviction that the youth should play a critical role in managing elite internal contradictions… as a youth leadership, we had made it a point that we would not allow the party to split again. "We had done our best not to be swayed by people bent on destroying the people's struggle. Our regret is maybe we didn't do enough to call our leaders to order, we didn't do enough to convince and present an atmosphere that all leaders were still important in the struggle, we didn't do enough to reach out to fellow comrades. "We could have done better to ensure our leaders stayed together and understand that the best foot forward with regards to the task at hand was none other than Advocate Chamisa," he said.